I love Bali and honestly I can never have enough of Bali. The latest experience of Bali is refreshingly different. Strangely its been a long time since I returned from a trip and am totally recharged, ready to start work as soon as I touched down in KL. And the getaway with a difference was Club Med Bali. 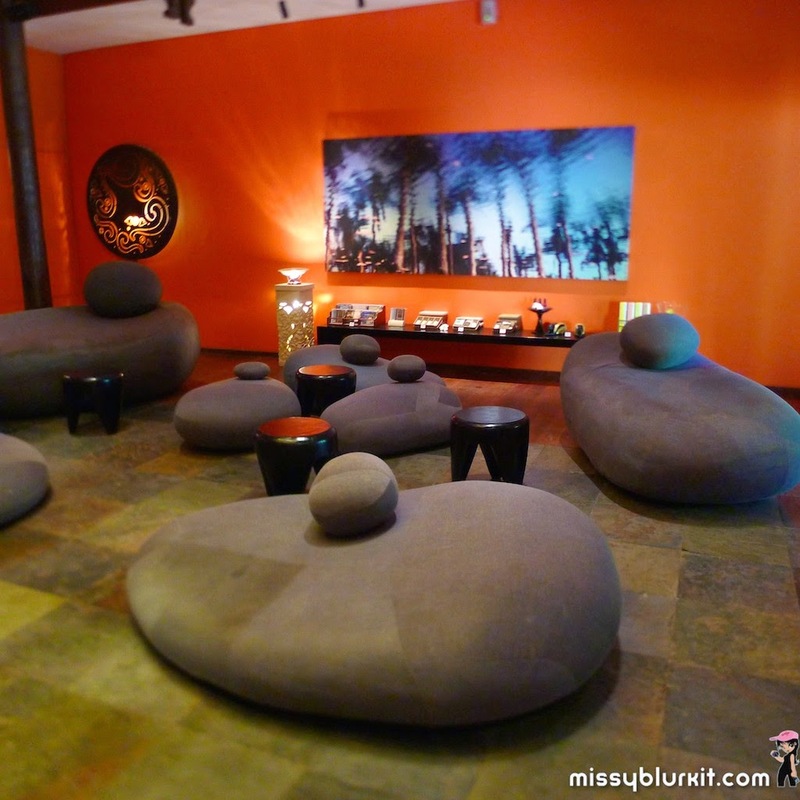 Its years since I visited Club Med and the previous visit was a girly get together at Cherating. 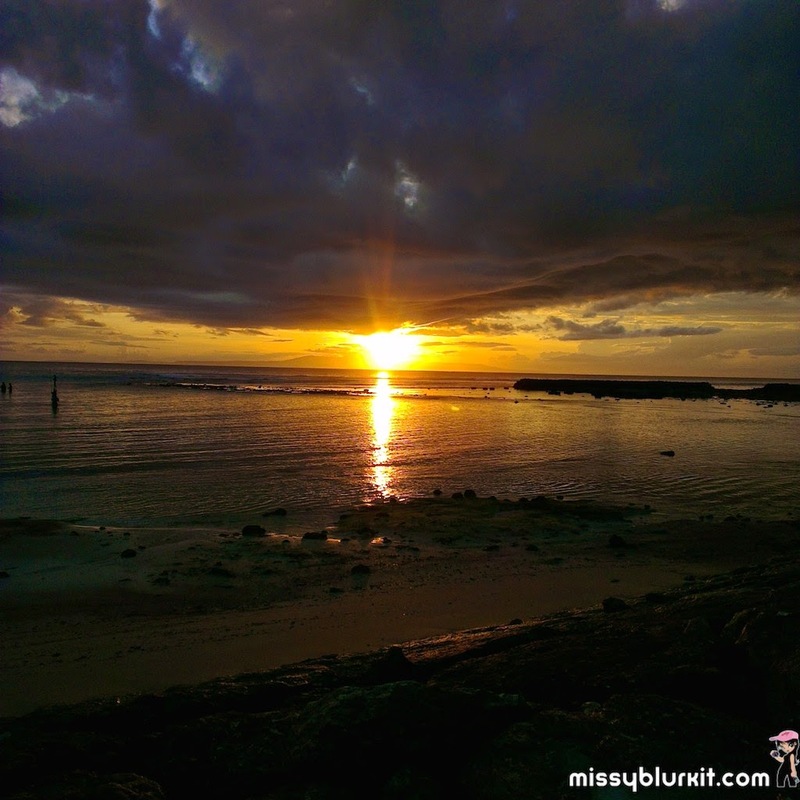 This trip is also a girly one with the girls but its beautiful Bali. Amazing fun when you pack 4 girls together. 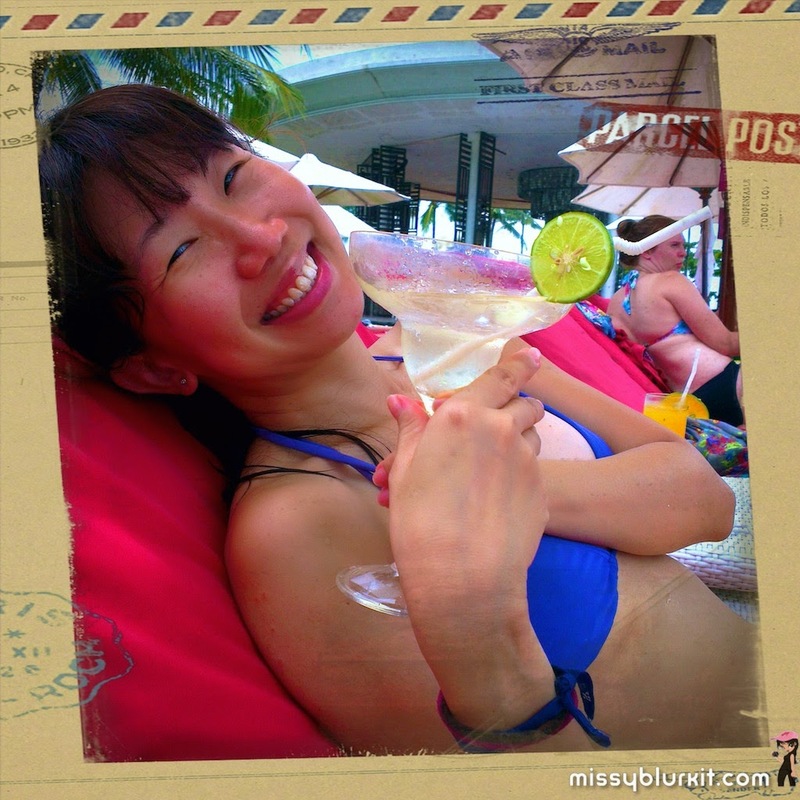 Actually trips are always fun with friends especially in fun and happy places like Club Med. If you have not visited Bali for ages, be prepared to be surprised by the new airport. Only gripe...no special lanes for Yochana. Okies...ignore my strange habit of travelling with my dragon Yochana. She's probably one of the few well travelled dragons left on earth. LOLZ. Immigration done and checked. We are greeted by our friendly driver from Club Med. Yeah...transport to and fro the airport can be arranged leaving you to be totally relaxed from the moment you touch down. 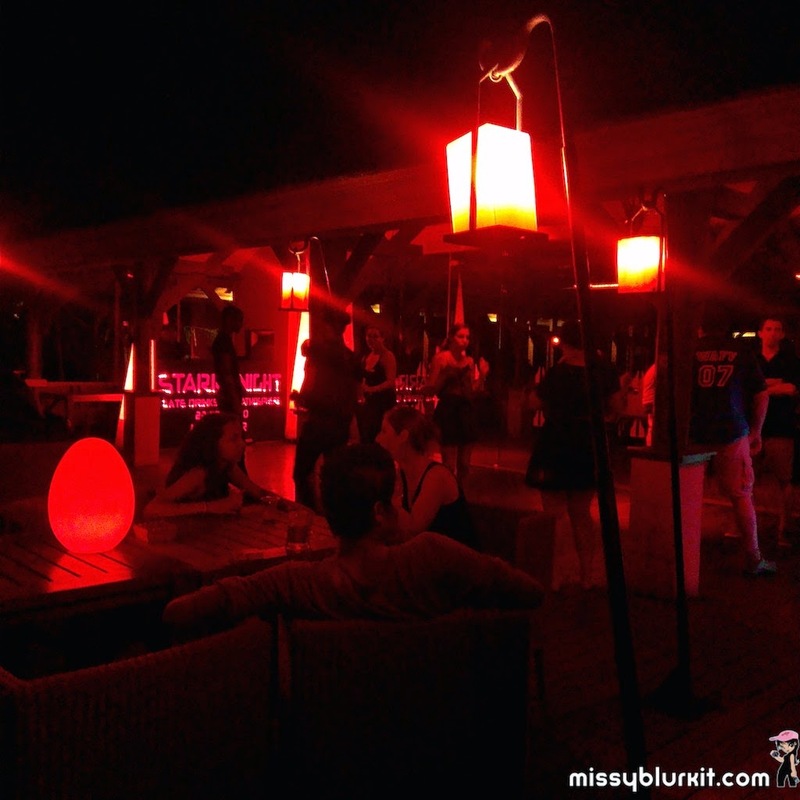 Its a short 20 minutes odd drive to Club Med from the airport. Travel time is made easy with the new highways in Bali. A gorgeous drive of blue waters, skies and a view of mangrove in Bali. Welcome crew greets us with Club Med's hospitality and smiles. One is definitely instantly at home and comfortable with our assigned GOs Gentils Organisateurs (Gentle Organizers) who I discover speak many languages! Guest are known as Gentils Membres (Gracious Members). GM, GO...terminologies aside, its all fine and dandy as our GO settles us down with a refreshing lemongrass drink and peppermint towels. 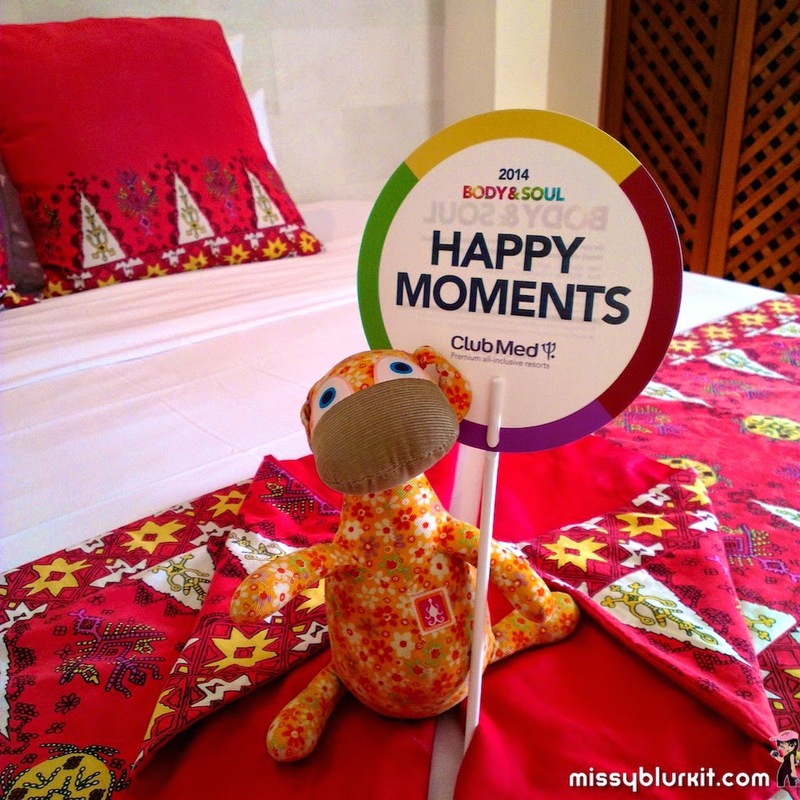 A quick check in to our rooms and I am ready to embrace my Club Med adventures. And making it different from the usual Club Med experience, we are in for some good and wholesome pampering with the Body and Soul campaign. 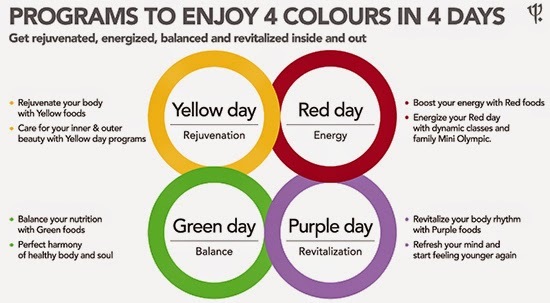 Over the 4 days, my getaway in Club Med was also a holistic one with a focus on health and wellness playing with the colours green, purple, red and yellow. Each colour has its own benefits and following the themed colour for the day, the menu for our meals at Club Med incorporated the said colour. It spans from juices to salads and even our main meals. It was definitely a deliciously interesting insight into eating colours beyond the usual rainbow practice that I have back at home. Feeling tired and listless? Well the colour red will come in helpful to boost your energy, resist stress and even improve memory. 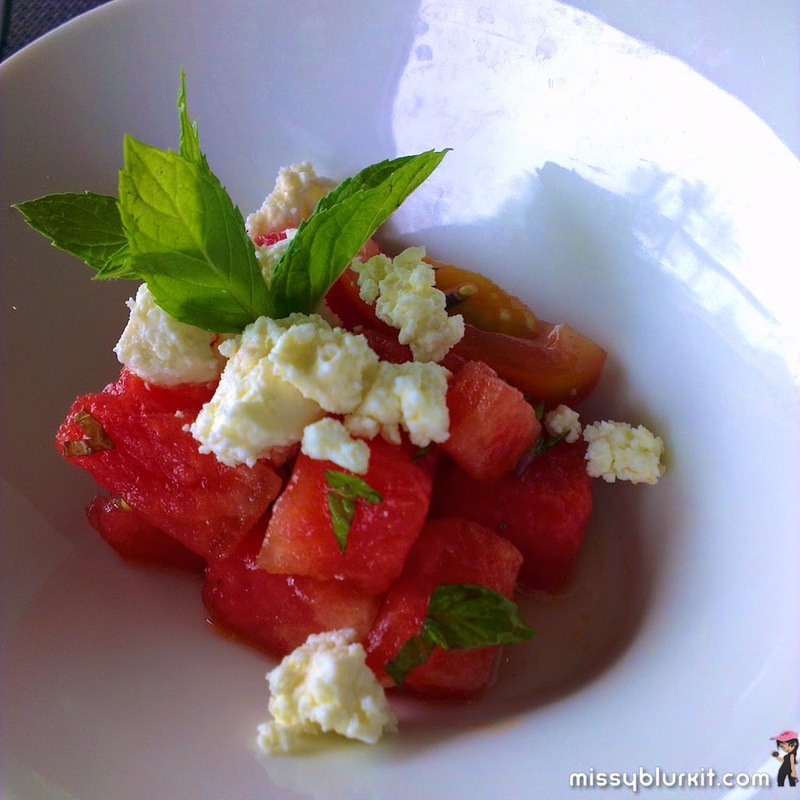 A delicious play of red with watermelon, mint leaves and feta cheese. 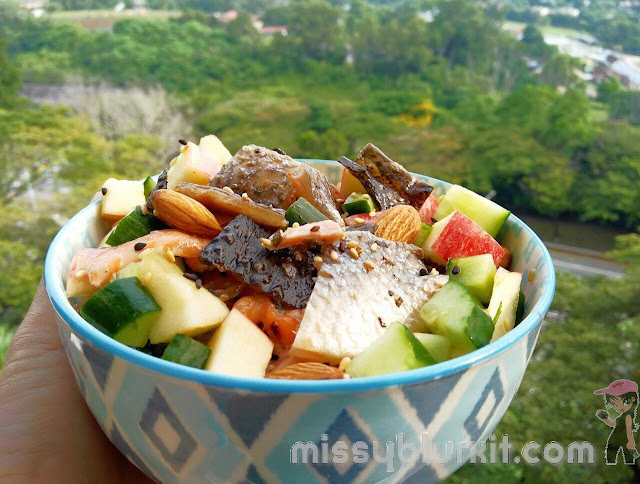 It was certainly an energizing salad. Yellow for good skin, a healthy immune system and it also prevents heart disease. 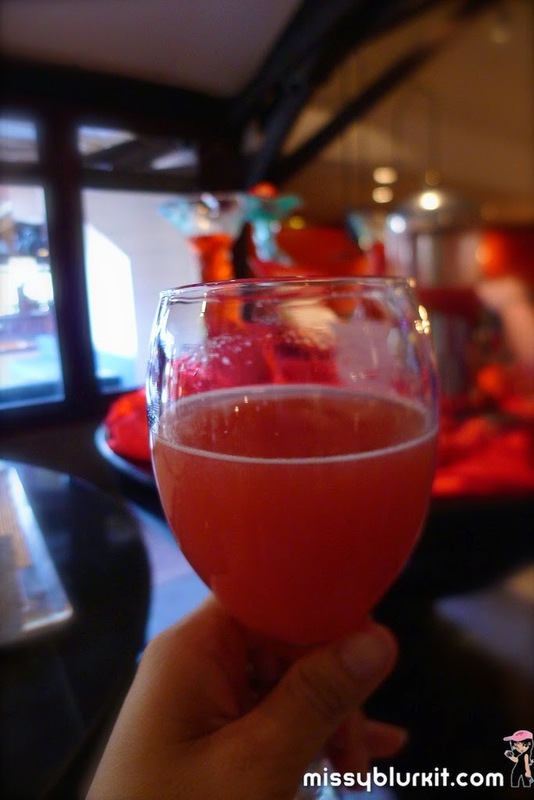 Antioxidant rich beetroot juice for purple day. Part of the Body and Soul retreat during our 4 days included yoga classes. There was no hard and fast rule that I had to attend all the yoga classes but heck it was definitely fun to attend the sessions that Samantha had in stored for us. And being a yoga noob, I was also surprised that yoga and colours did work hand in hand too. What also surprised me was that I actually enjoyed yoga tremendously even though I am a totally stiff and the least flexible person in class. Colours and yoga...who would have expected it to actually coexist? But yes, the folks at Club Med designed the Body and Soul programme so well that it all jived in so well. Honestly, its a highly recommended retreat that one should pen into your Club Med getaway when it happens again in March 2015. • Yellow – Move through a flowing series of morning stretches, taking the time to soak up the beauty of your surroundings. 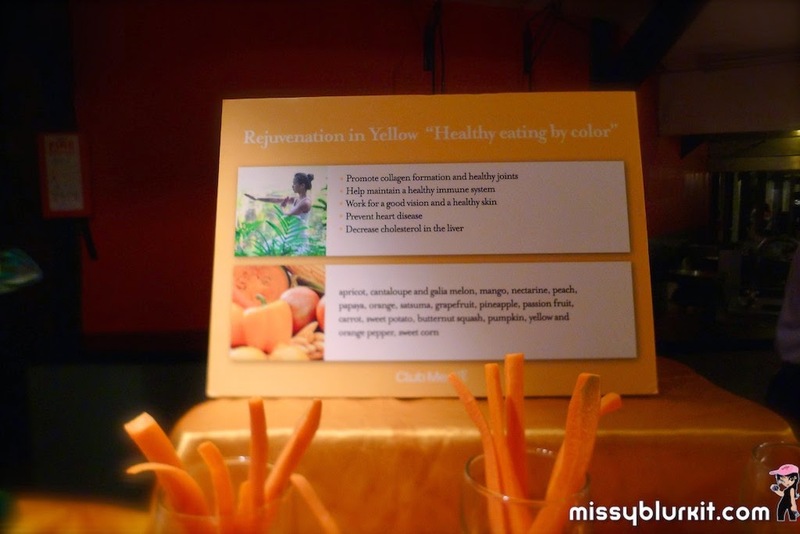 Yellow food’s great for promoting collagen formation and a healthy immune system. 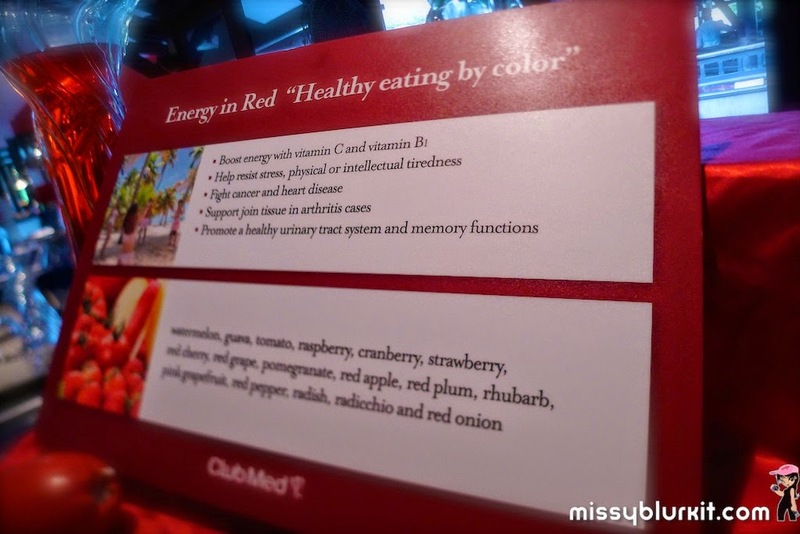 • Red – Boost energy with more dynamic classes, and the body’s system with red foods. • Green – Balance nutrition with green foods, and work outs that focus on the mind, body and soul. • Purple – Indulge in antioxidant-rich purple goods, revitalise the body with more reflective relaxation and refresh the mind. So each morning and evening, even after a night of partying, I just had to make it for my yoga sessions. 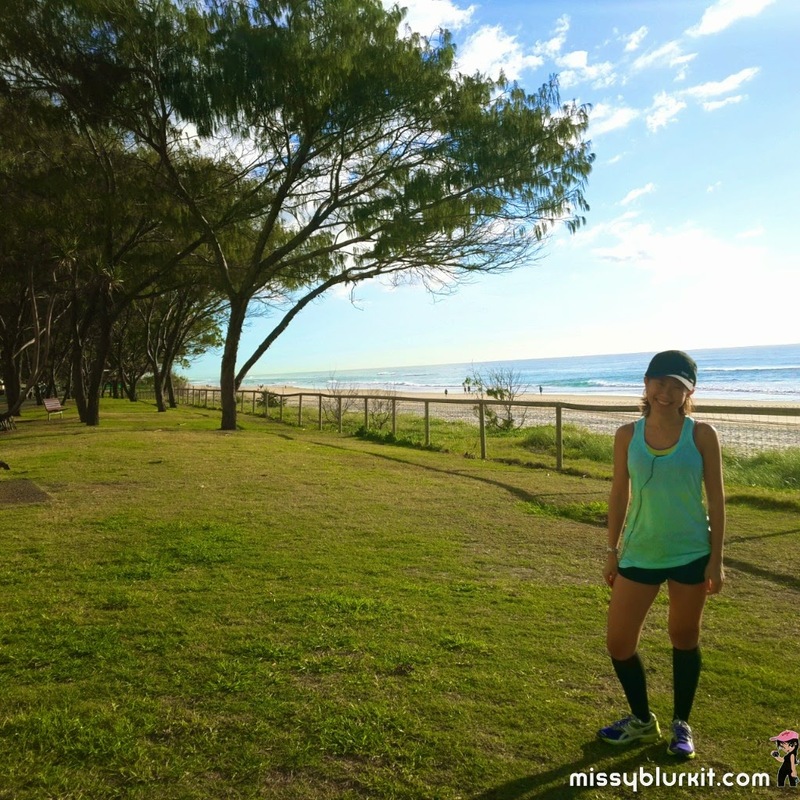 It felt good to embrace the fresh air and reconnect with my inner self with the gentle breathing and stretches. Each session is set in the gardens of Club Med. Unlike some other yoga sessions that I had attended back at home, our instructors Samantha and Scott did a lovely job of teaching and monitoring us as we went through the different positions. In my case of having tore my hamstring and sporting an IT band injury, they took note and kept an eye that I did not over stretch myself. And thanx to Samantha, I even have a few new positions to practice on a daily basis to keep my limbs nimble as a runner. Claudia, myself, Samantha and Lena. Hmmm...SweetEe is missing from this pic! Outside the one month long Body & Soul campaign, a getaway to Club Med Bali is still fun with lots of activities for both old and young. 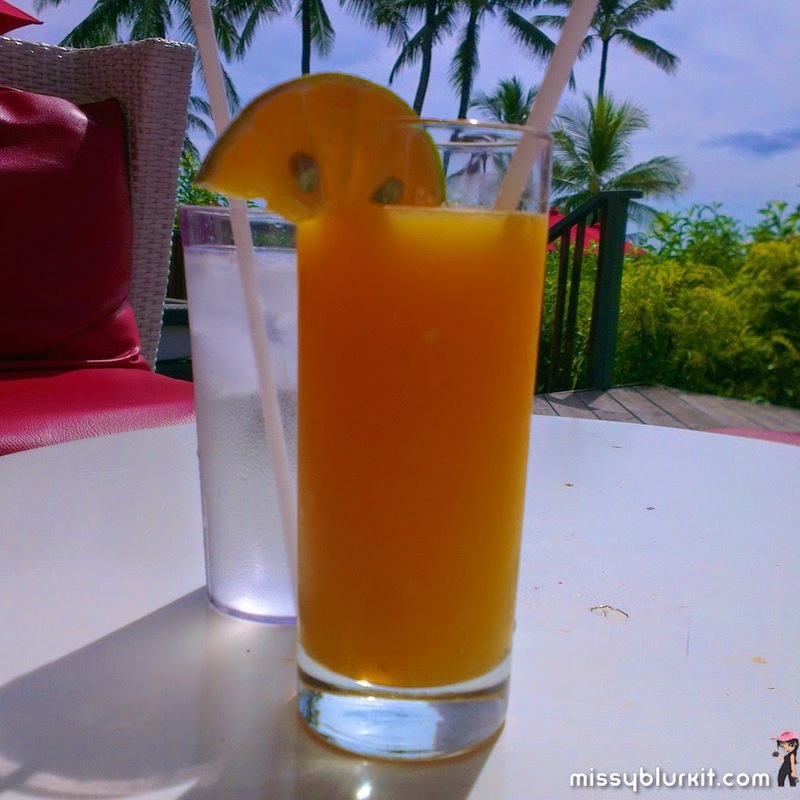 You can always choose to chill by the beach or at the pool with your choice of drinks or even a good book. Chilling under the trees in the garden is also just as fun and you may just catch a few cheeky squirrels playing around. I must admit I love the pool sesssions. Its so darn fun dancing in the pool with both old and young. 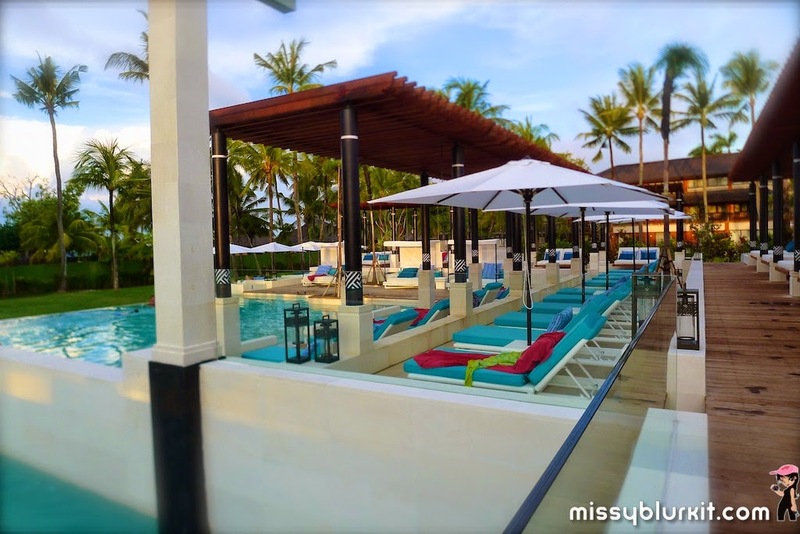 The latest highlight at Club Med Bali is the Zen Pool. Away from the main pool and crowd, this is an adults only pool. During my stay, this is definitely one of my faves since its literally a few steps away from my room. All I needed to do was open my room door and walk over. The mornings are lovely blue skies and serenity from the gentle splashes of water. Come evening, its a lovely romantic sunset..which I did wish that the hubster was with me to savour the evening light. Pool time. Water aerobics is good fun and heck it does burn quite a bit of calories! 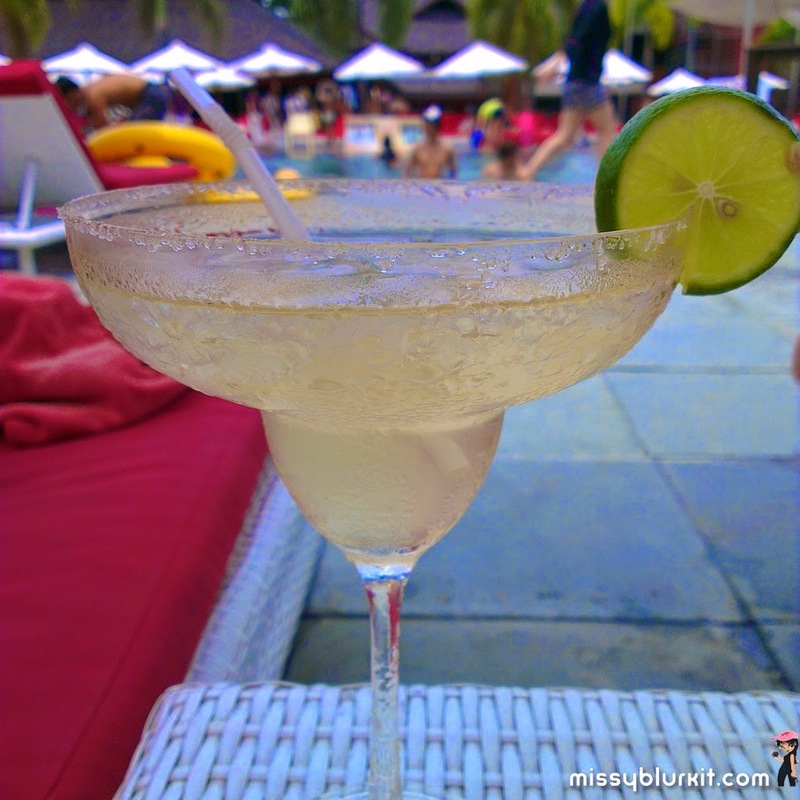 Pool time and a nice cold margarita...now that's what I call a good Club Med getaway! 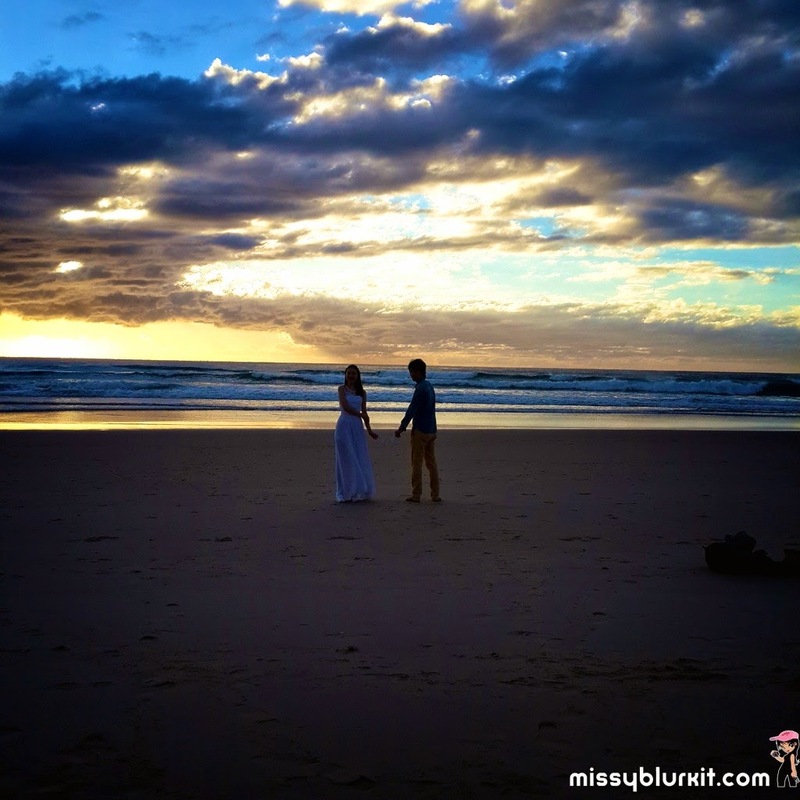 For the more outgoing ones, there's lots more fun that awaits you at the beach. You can bum by the beach or head out to have fun in the water. Kayaking and surfing are options if you want to be within the resort or get a bit more adventurous and head out for some snorkelling. 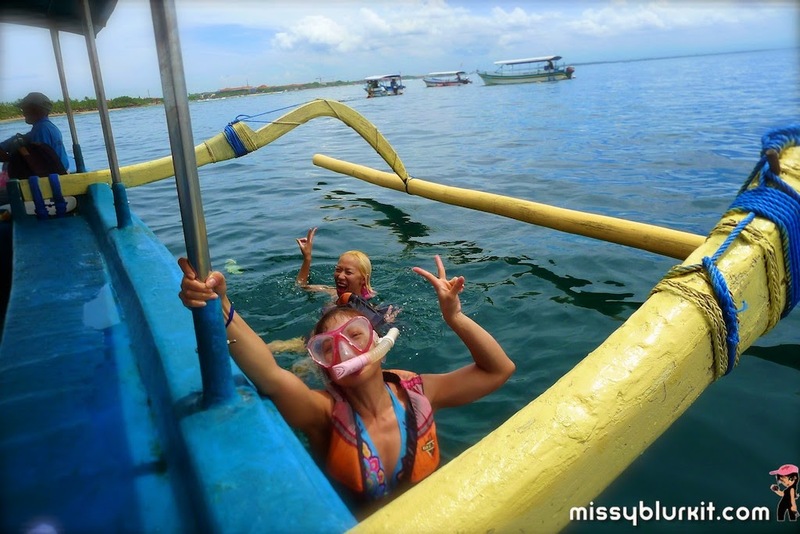 Its my maiden snorkelling session and its been fun even though I scraped my knees a little because I am just clumsy. Its safe...no heading out without life jackets and we are looking at being accompanied and watched after by the crew. And of course there is always the trapeze if you want some fun and adrenaline of hanging and swinging around. Opt for family fun activities like mini golf, archery, tennis, badminton etc if you like. There is something for everyone at Club Med Bali. 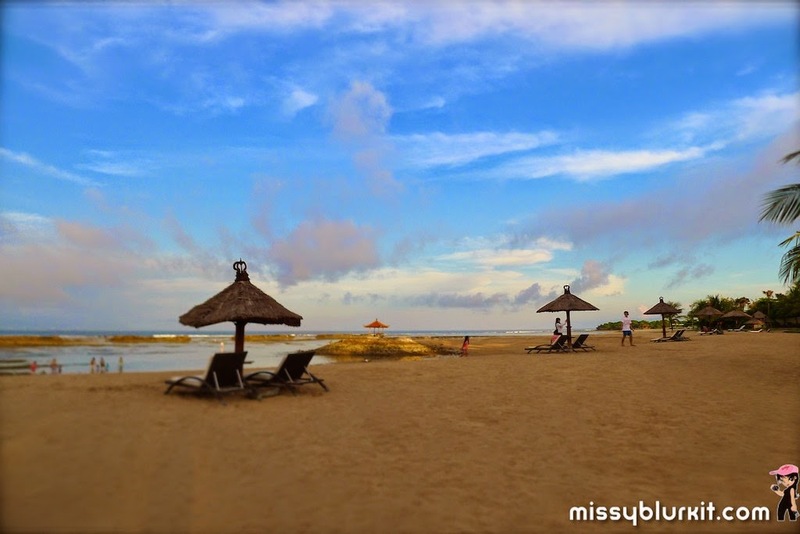 And because I love to run, Club Med Bali has been such an amazing grounds for me. I didn't have to wonder out. 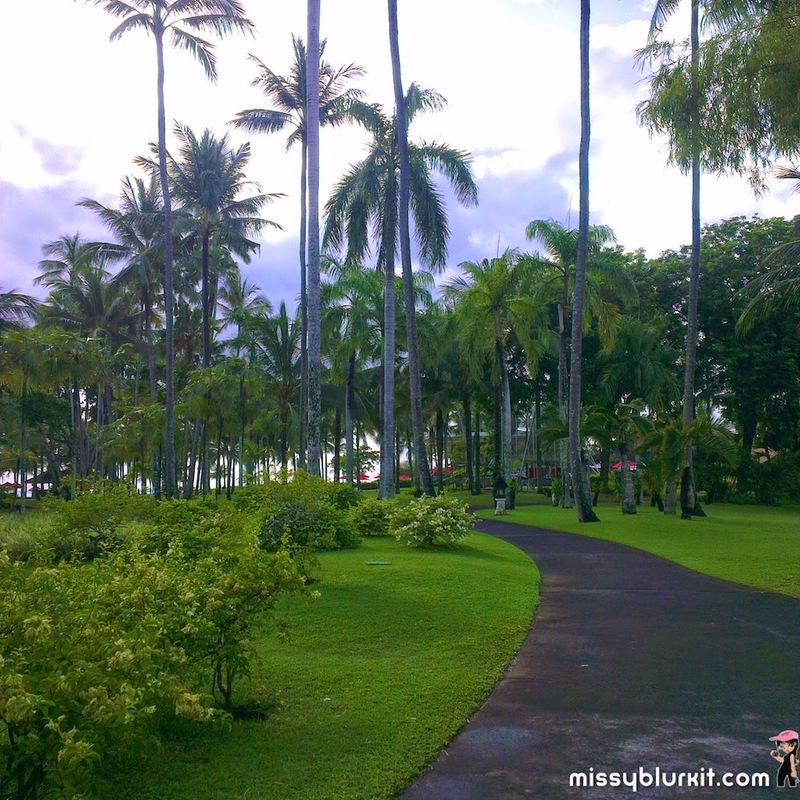 I could just happily run within the grounds from the gardens to the beach. I wasn't quite doing my usual hamster loops as there is always an interesting path to run along. And I wasn't alone. 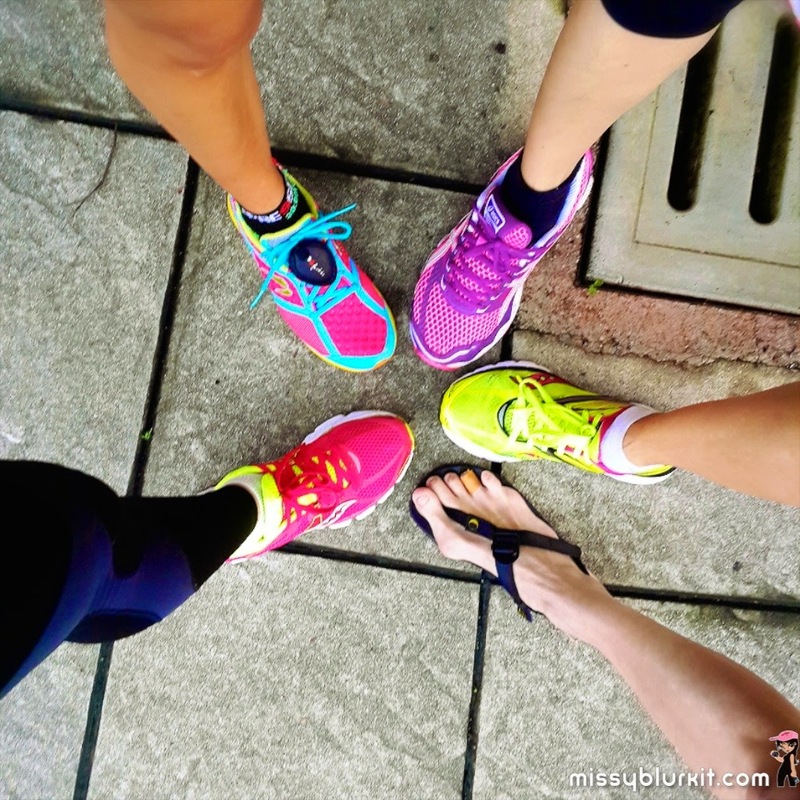 There was always another fellow runner whether it was morning, afternoon or even the evening. And when it rained, I had the gym to entertain myself. Sunrise in pretty early but its worth while waking up watching the skies turn bright. Sunrise run by the beach. Its amazing soaking in the early morning rays. 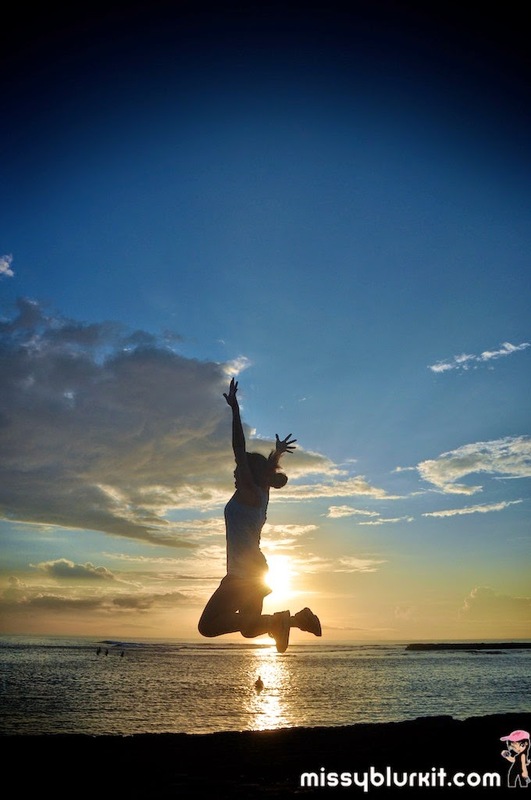 My must do sunrise jump! With all the activities that one can do, its definitely necessary to have food and drinks. 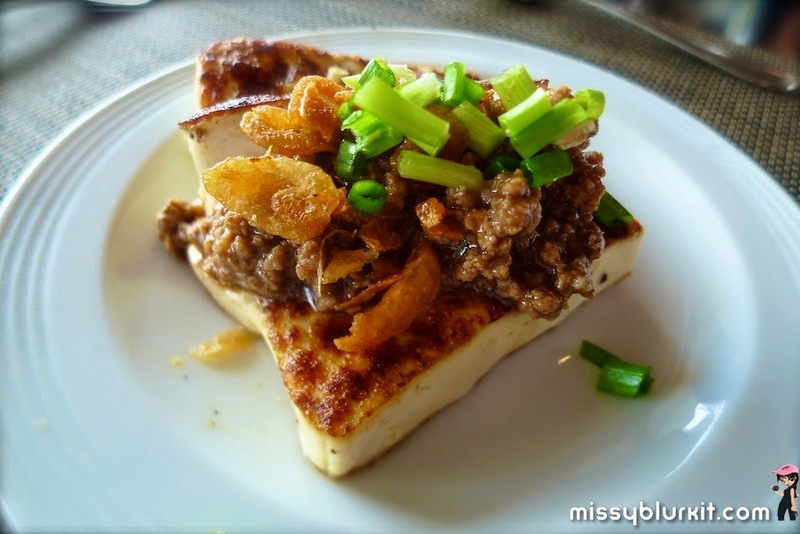 The best thing about Club Med is that everything is included in the package. Its lots of food all day long and similarly drinks all day long. The Agung Buffet Restaurant is an international gourmet buffet restaurant with a nice buffet with food freshly prepared. 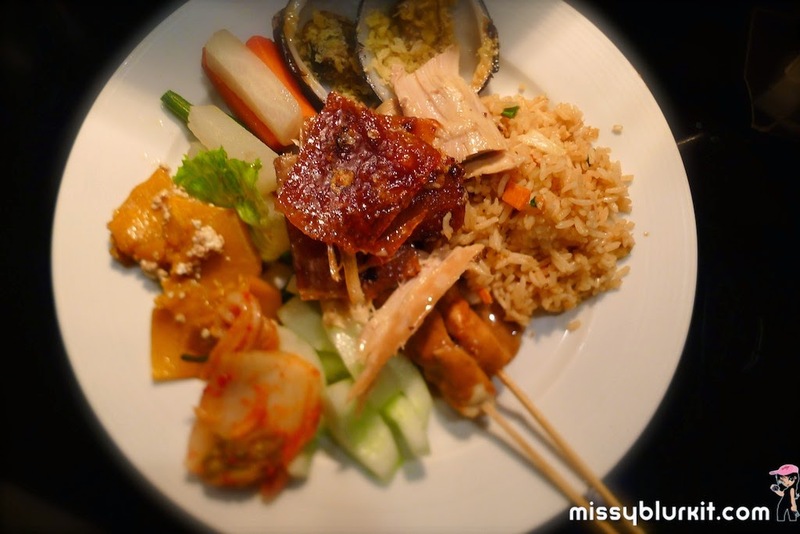 Take your pick of Continental, Asian and even Balinese food. 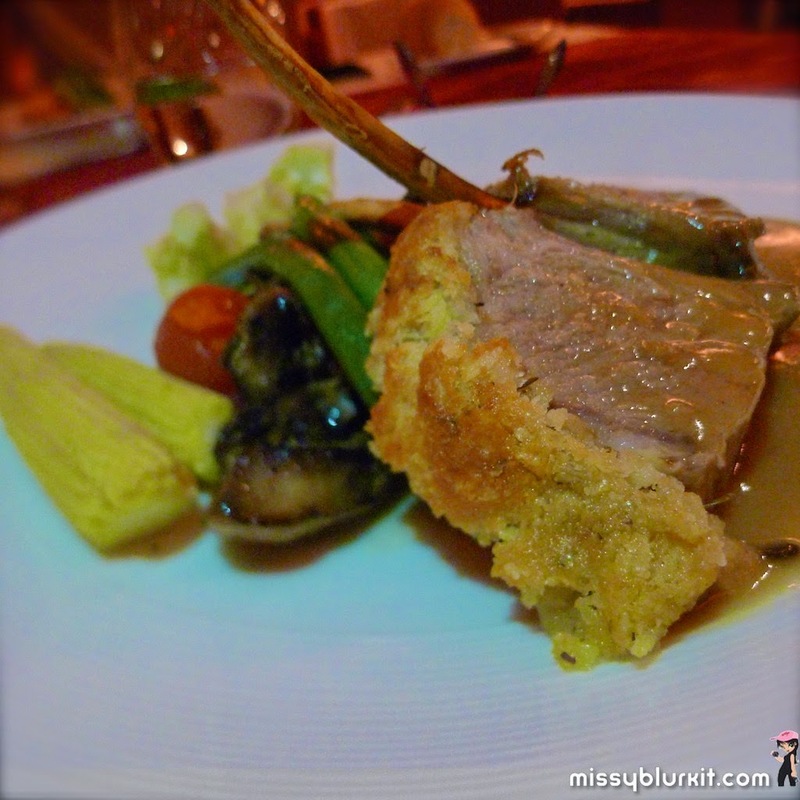 For the finer side of things, there is also Batur restaurant which offers French and Asian fusion cuisine. Reservations are needed for Batur. On our last night that's where we had our dinner and a surprise was in stored for me. 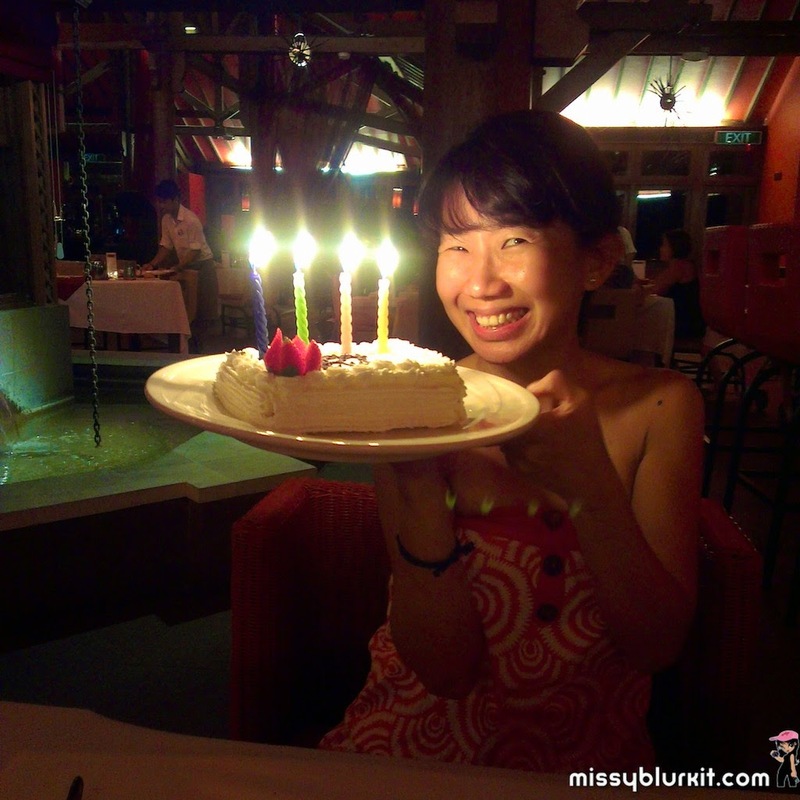 THANX to the folks at Club Med, I celebrated my birthday a week earlier complete with a birthday song, cake and candles. THANX Club Med! Celebrated my 41st babeday at Batur. THANX Club Med for the surprise! Its essential to stay hydrated at all times during the holidays. Just as much as there was food, there's equally a lot of drinks available. Take your pick of drinks from soft drinks, juices, coffee, tea, wines, beer and even cocktails. Its pretty much free flow! 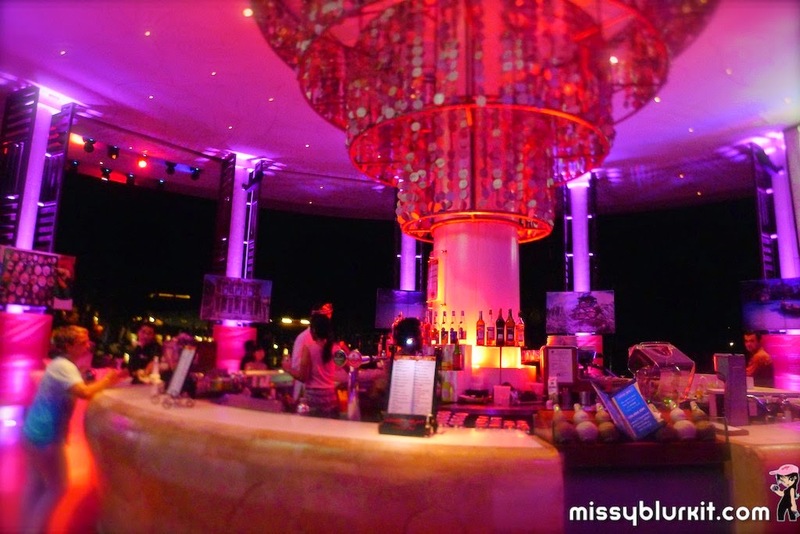 Our fave hangout for its view and location is the all day bar that opens till midnight. And pass 12 midnight, we head on to the Starry Night Club more for drinks and partying. My choice of orange and water to stay well hydrated throughout the trip. Of course there's my margarita and mojitos every now and then too. 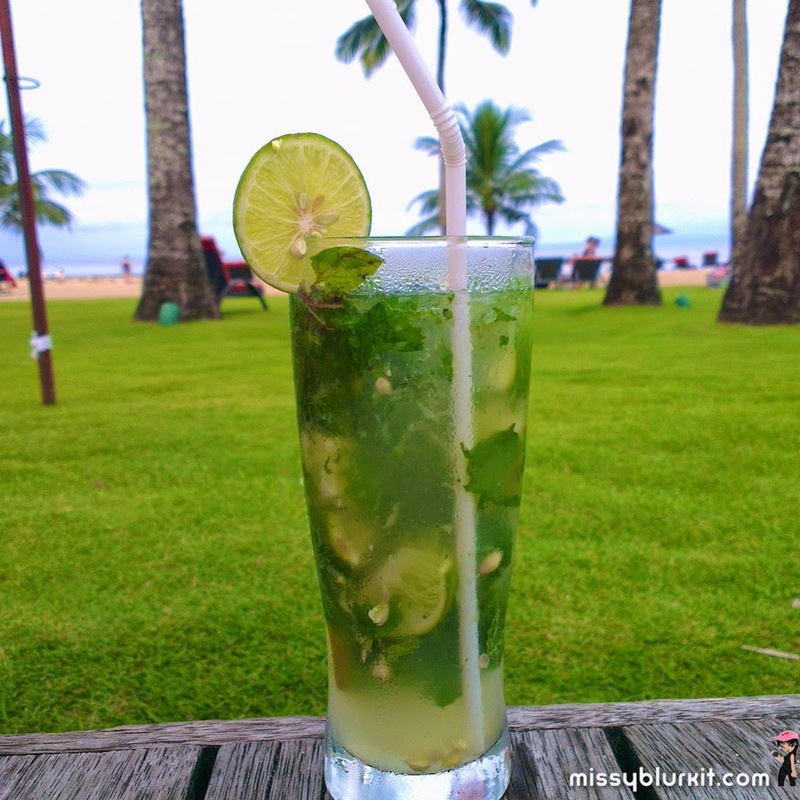 What's a beach getaway without cocktails? 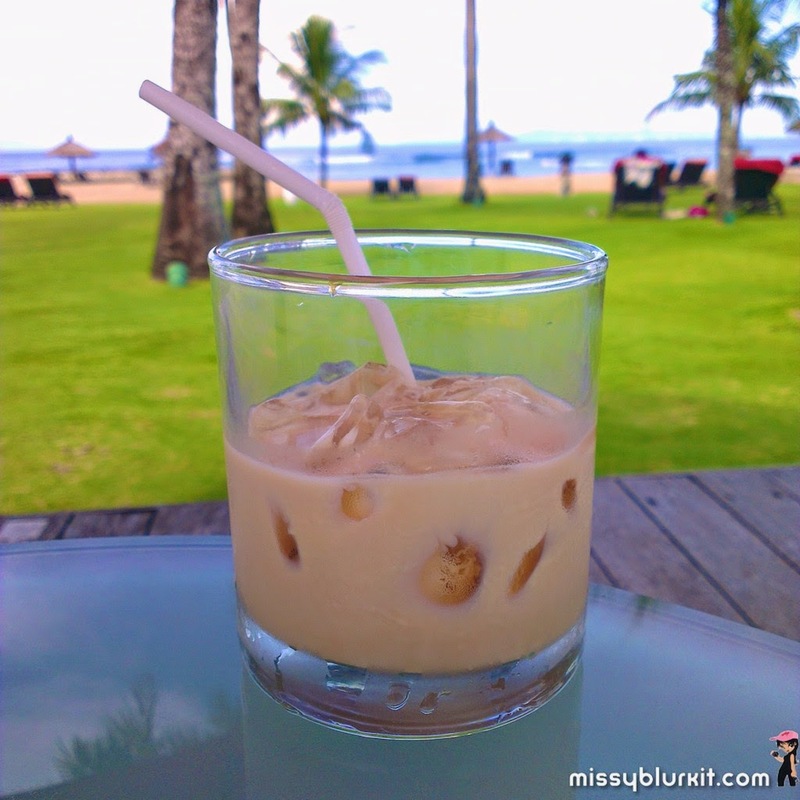 Strange but it is this trip that I rediscovered my love for Bailey's. LOLZ Bailey's on the rocks. 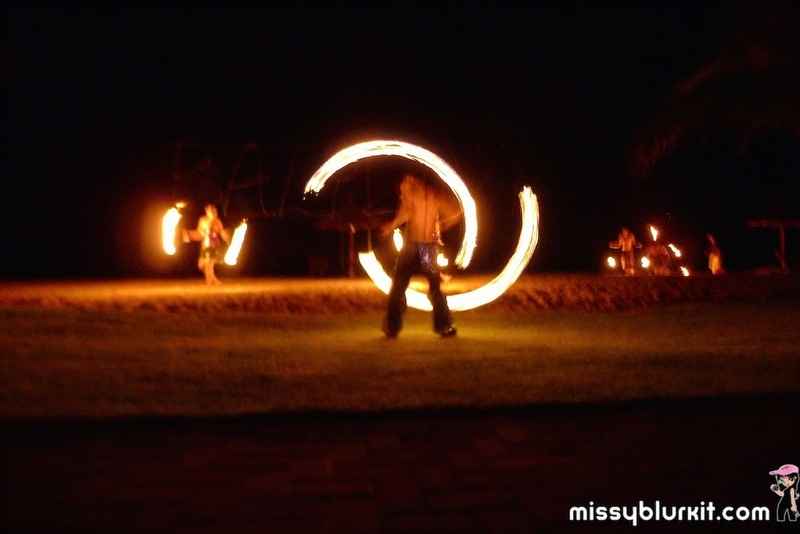 Each night after dinner, it was a different set of entertainment that awaited us. Mind you the GOs that we met are also entertainers. Such a bunch of talented and energetic folks! 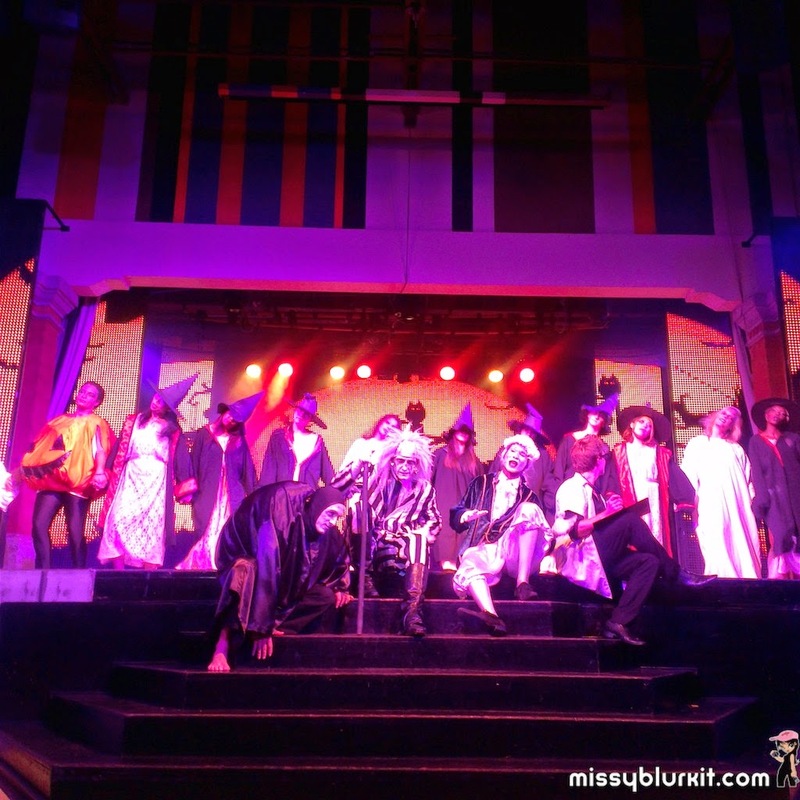 From stunts to fire shows, singing and dancing! Amazing! 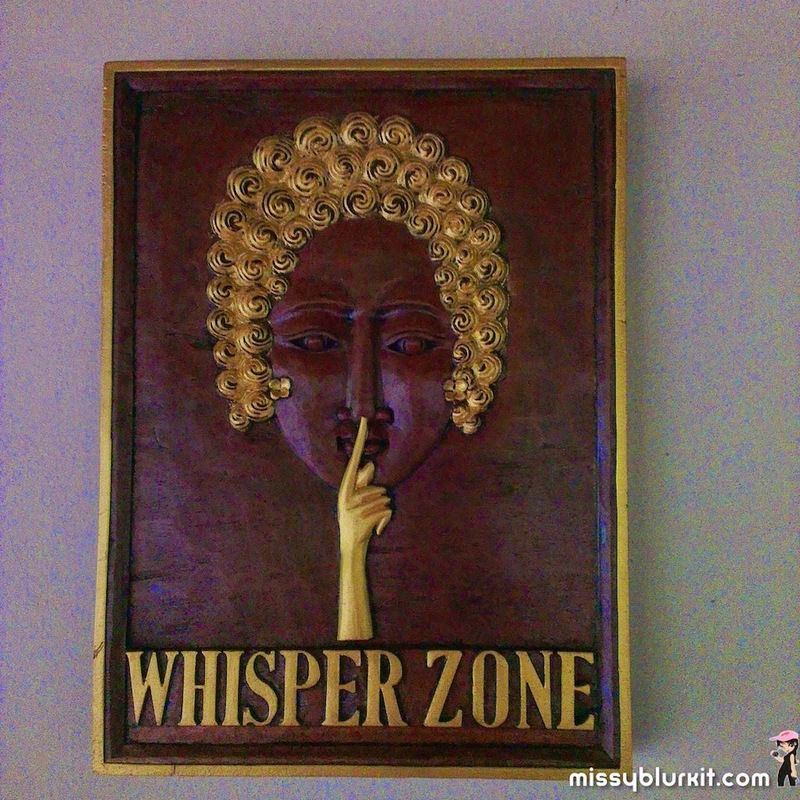 My visit was with the girls, so yes we did have our quiet girly times. We watch sunrise on our last morning together. And of course we also had a nice time getting to know our GO Dana who hails from Australia. 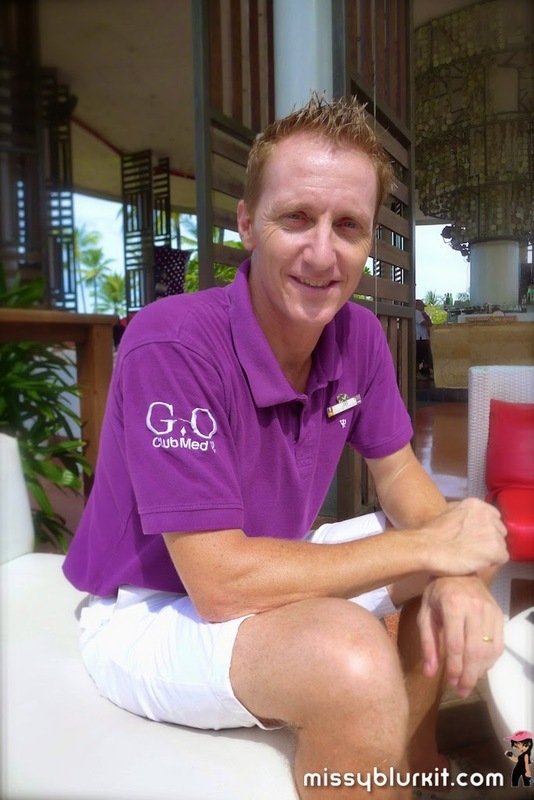 And if you visit Club Med Bali soon, do say hello to J.B. (Jean-Benoit Nisin) who is the Chef de Village or Head of Resort for Club Med Bali. Chat him up and you will see his love for Club Med. After all, he has been travelling the world with Club Med for 16 years! The love and passion he has for his job is the same passion that I see in everyone working in Club Med. Its such positive vibes! And if you want some nice quiet time and pampering, there is always the spa. A visit to Bali is not complete without a spa and some pampering is certainly in order for us girls after 4 days of fun and activities. Take your pick of massages, facial or even a simple pedi and medi. 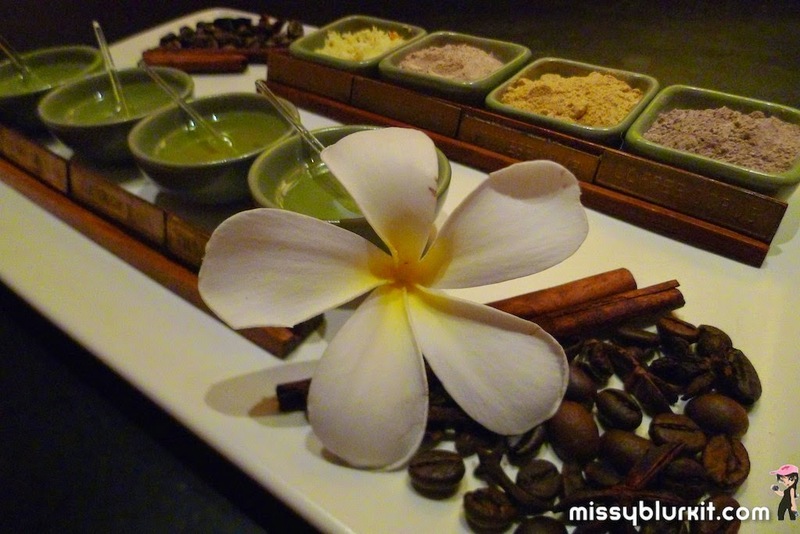 We had a lovely spa which included a good body scrub and massage to ease off the knots in the body. 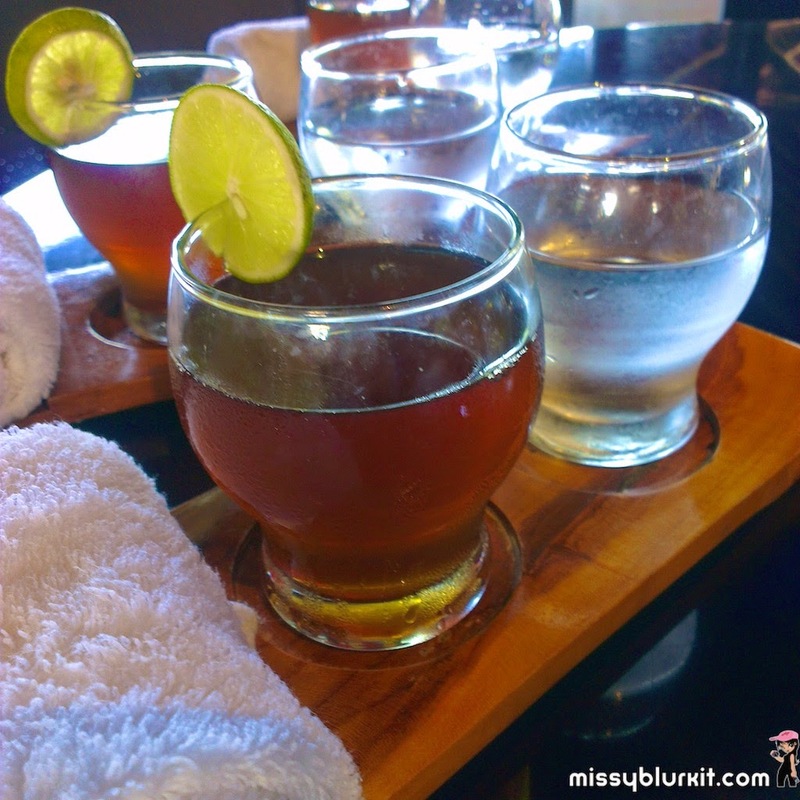 Choosing the spa smack before we checked out was a brilliant idea to end out Club Med getaway. 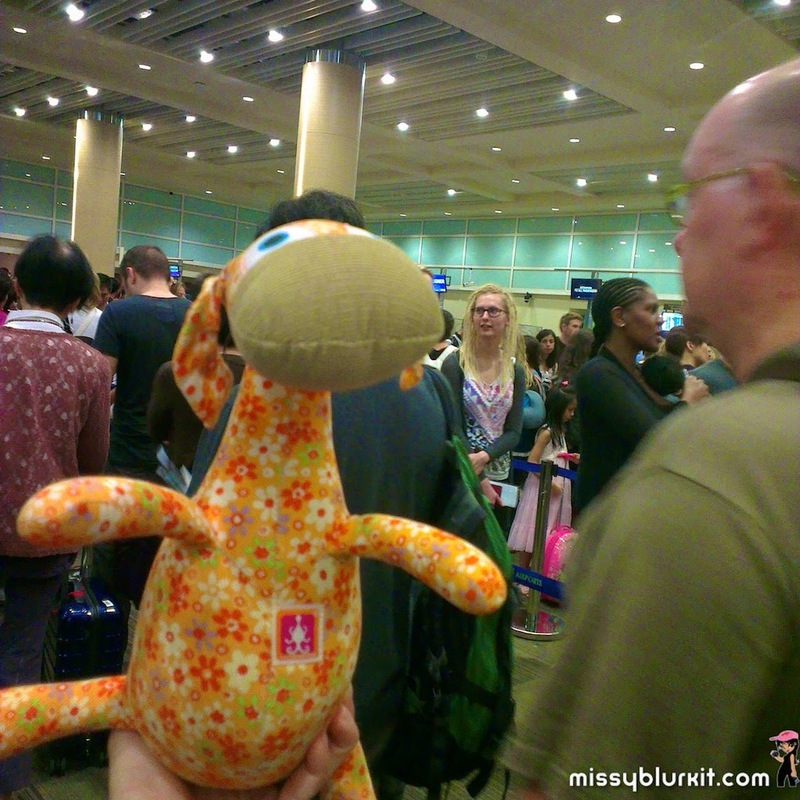 By the time I boarded the flight, I was truly relaxed and ready to sleep on my flight back to Malaysia. 4 days and 3 nights. It just slipped through amazingly fast yet its so good. 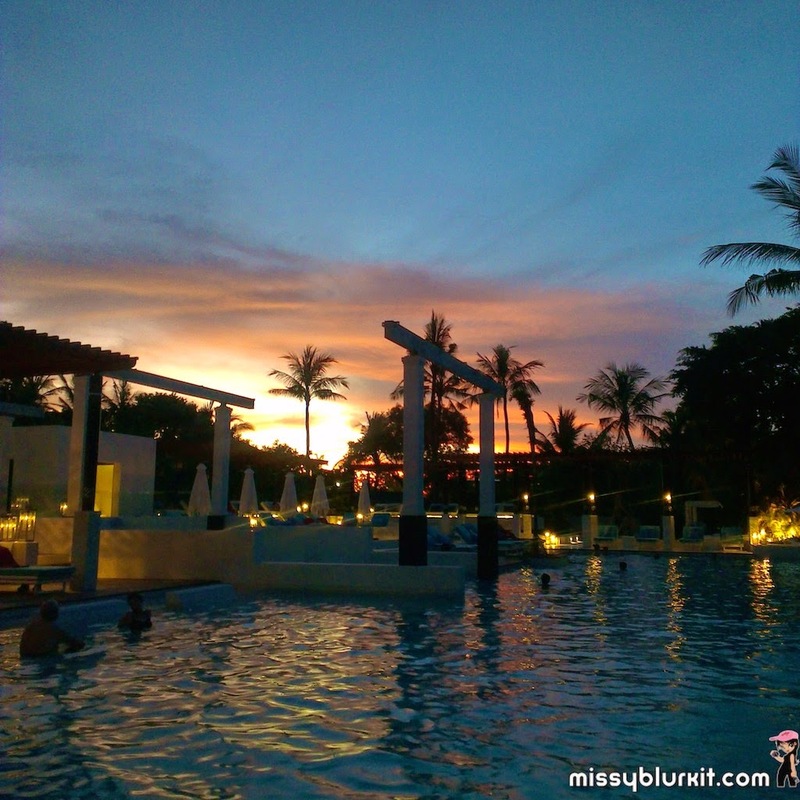 And totally amazed that after the 4 days of full works and seizing the best of every moment I had in Club Med Bali, I returned to Malaysia feeling amazingly energized. 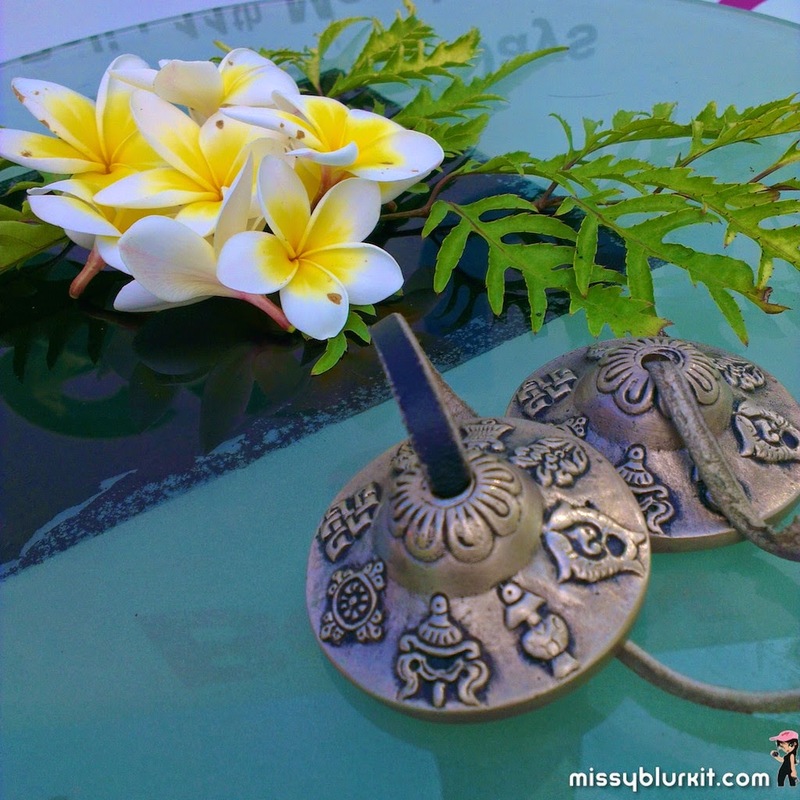 There was something brilliant about Club Med Bali. The whole vibes in the place was simply amazing and perhaps coupled with the Body & Soul programmed of food and activities, it explains my recharged self. Of course you can also opt for a total package that includes your flight. Who's That Girl? Its not the latest song by Guy Sebastian but its been playing in my head in repeat for the last 2 days. No idea why though I have a feeling its probably the excitement of catching him when he performs for the first time in Singapore on 30 June at Resorts World Sentosa’s Waterfront Studio. And if you want to catch him live, head on to MTV’s website to win the limited passes to catch him in action and also as he records for MTV Sessions: Guy Sebastian which will premiere on MTV Asia on Friday, 18 July at 9pm (WIB), 10pm (SG/HK) and 11pm (MAL) with additional content available online at www.mtvasia.com/mtvsessions. 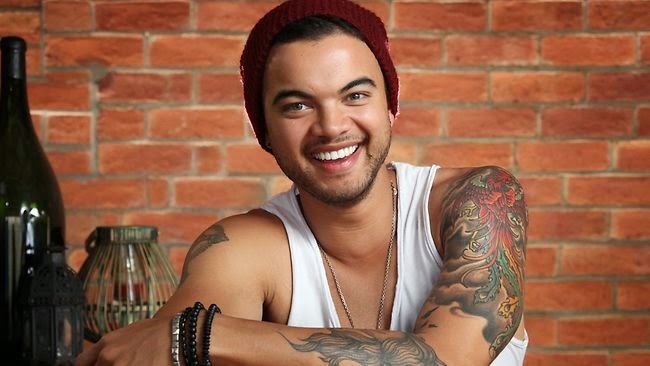 In case you are wondering, Guy Sebastian is Malaysian born but grew up in Australia. This charming bloke rose to fame after capturing the hearts of his fellow Australians with his unique vocal talents and was crowned the first Australian Idol winner in 2003. Enjoy the up-tempo electro R&B song Who's That Girl that he performed with American rapper Eve. And his latest hit Like A Drum. Happy Wednesday folks! THANX for reading! Head on to the following channels for more updates of my random thoughts. Are you guilty of overworking and neglecting yourself? Work will always be there. No denying that there will be days that work just doesn't seem to be ending. However, you must still take a break and make sure you take a break that counts. 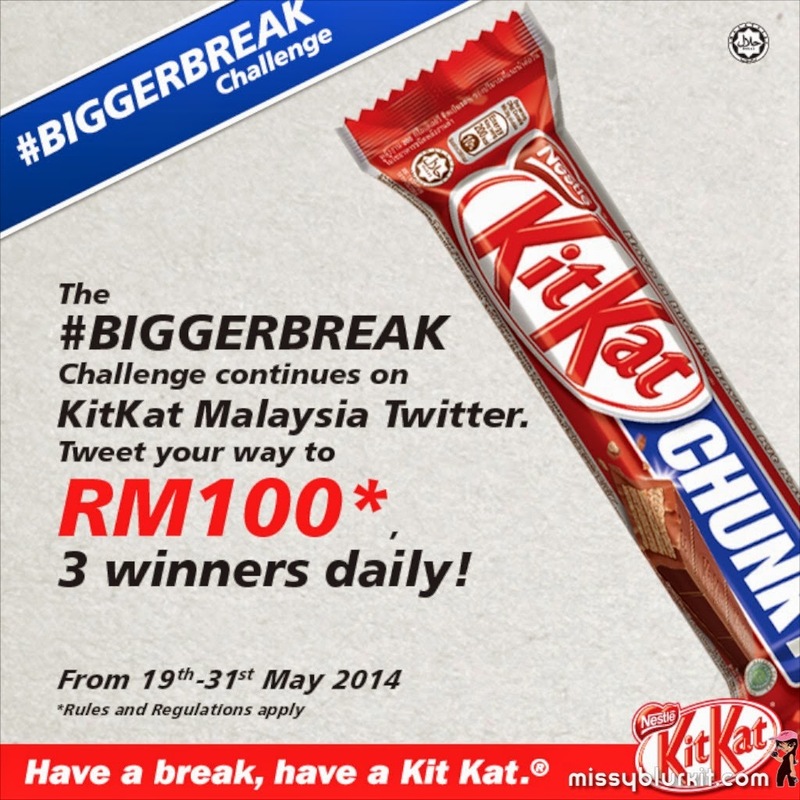 To do that, have a #BiggerBreak! Research has shown and proven that we work without any breaks, we end up putting up lousy efforts. Its pretty much inefficient output. And if that is not bad enough, you are putting your own health at risk. Are you guilty of being a workaholic? Check out to see where you fall in the following infographic. Stay sane. Give yourself a #BiggerBreak. 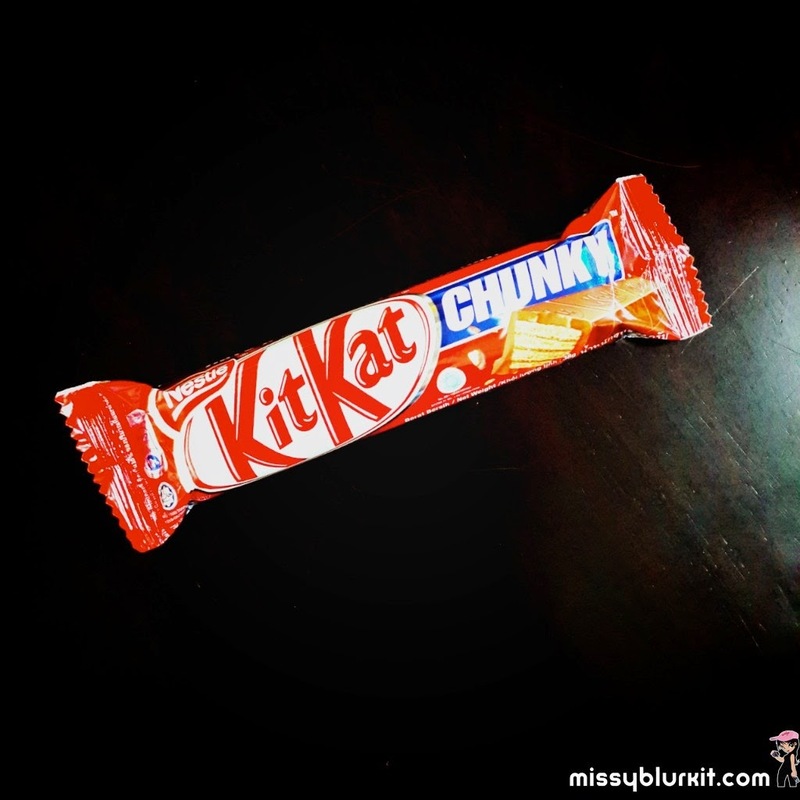 Have a Kit Kat Chunky if you have not tried it before and now is the perfect time to have one for your coffee break! I go for a run! Even if its a short 20 minutes run, breaking a sweat makes me feel much better and I imagine the wind blowing away my work stress. Fresh air also clears our mind and does wonders for the skin! Plan for your next holiday getaway. It doesn't have to be a long getaway, a short one over the weekend is good for your soul. And when you plan for your break, it gives you something pleasant to look forward, Coincidentally, I am now planning my mini getaway to Gold Coast Australia with the hubster for me to run in the coming Gold Coast Airport Marathon GCAM14 and also for us to spend some quality time together which includes us shooting our 13th wedding anniversary album during the short getaway. Enjoy a cuppa. 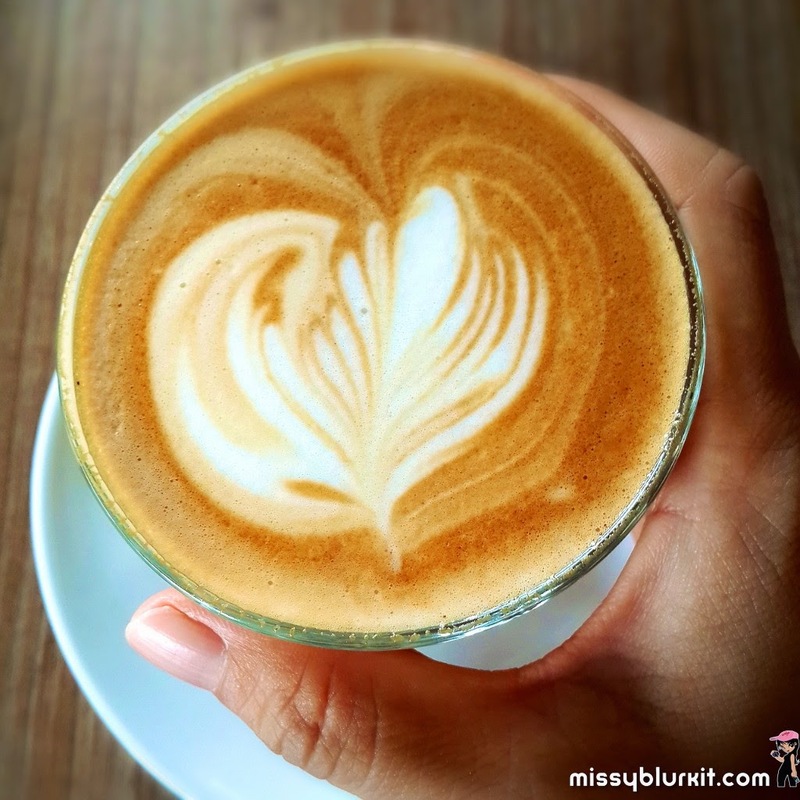 It can be coffee, tea, hot chocolate or even a juice but take your time and savour the drink. Indulge. A hand spa is good but if its expensive, fret not. Grab a girl friend and you can exchange hair massage! Have a #BiggerBreak for your own sake. Head on to the following channels for more updates and also to see how I incorporate lil #BiggerBreak interludes into my daily life.